The torpedo boat, SPRINGEREN, (1891-1919) was the first Danish-built torpedo boat. In the background, the Sea mine base at Bramsnaesvig. 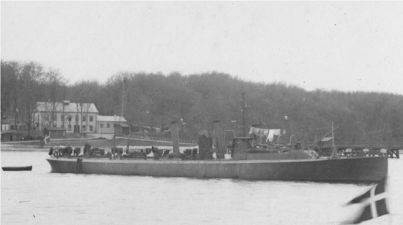 The torpedo boat SPRINGEREN was the first Danish-built torpedo boat.